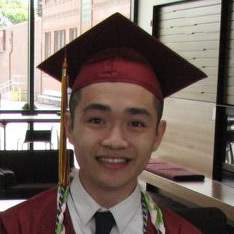 Phuocan Nguyen, a senior at Central Catholic High School in Portland, OR, is the recipient of this year’s Bob and Marilyn Ridgley Classroom Law Project Scholarship. The award provides $10,000 toward college tuition over four years. Phuocan is the son of Vietnamese immigrants who credits his parents with his perseverance and work ethic. A member of Central Catholic’s We the People team, he demonstrated a keen understanding of constitutional principles and civic engagement in his application. He plans to attend the University of Portland and pursue a career as a policy advisor, using the skills he developed in class and competition with teacher Geoffrey Stuckart. Congratulations, Phuocan! Determination. If there’s one word that comes to mind when describing Alyssa Bailey, that’s it. Cheerful, optimistic, and confident, this recent Jefferson High School graduate is determined to make her mark on the world – and to make the world better in the process. Alyssa is headed to American University in Washington, D.C., where she will pursue a major in International Studies with a linguistics focus. She aims for a career in public service, perhaps running for Congress and being a “true representative if the people, looking for common ground to achieve successful results.” The gleam in her eye and subtle smile suggest that her determination can make it happen. On June 6, 2016, Parkrose High School senior Guadalupe “Nina” Lopez received the Bob and Marilyn Ridgley Classroom Law Project scholarship, which totals $8,000 toward college tuition. Ms. Lopez is a dedicated daughter and sister, as well as an excellent student with a passion for political science. She participated in Parkrose High School’s We the People and Mock Trial programs. 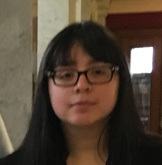 Ms. Lopez intends to study political science and anthropology at college in the fall with the goal of becoming a political strategist. She is well on her way. Congratulations, Nina! On June 1, 2015, Parkrose High School senior Ms. Manaz Rezayee received the Bob and Marilyn Ridgley Classroom Law Project scholarship, which totals $8,000 toward college tuition. 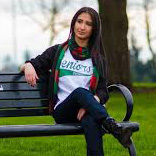 Ms. Rezayee, a Parkrose valedictorian with a 4.2 GPA, is a model student and citizen. 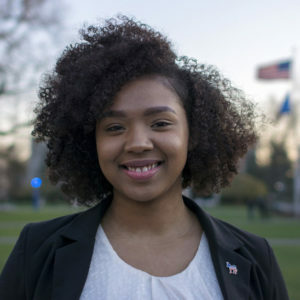 She was a member of Parkrose mock trial team during her sophomore year and part of the We the People “Constitution Team” during her senior year. Ms. Rezayee plans to become an OB-GYN doctor and work to improve the health of women and children in Afghanistan. 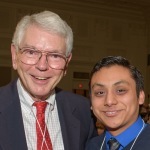 On June 4, 2014, Mr. Michael Larios-Grave, of Madison High School, was awarded the $8,000 Bob and Marilyn Ridgley Classroom Law Project Scholarship. Board Member John Casey and Executive Director Marilyn Cover presented the award check to Mr. Larios-Grave at the Madison High School Senior Awards Ceremony. UPDATE: Mr. Larios-Grave is now a graduate of the University of Portland.